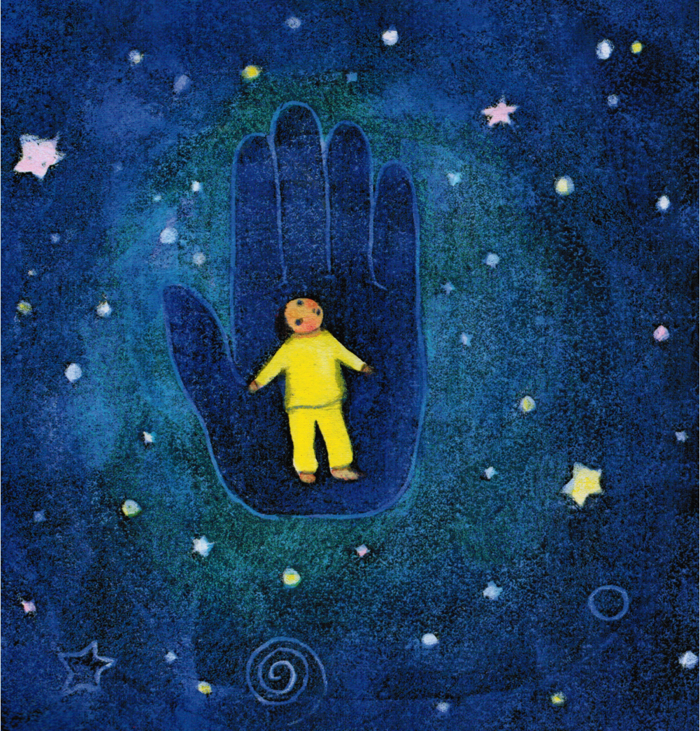 One of the most precious privileges, and a most treasured memory in my heart, was teaching my daughter to welcome in the first morning light and to say hello to the moon and good night to the day with thankfulness to G-d, her Abba Father. Modeh Ani is a sweet adaptation of Shacharit, the daily morning prayer service. The gentle pastel illustrations in combination with simple words perfectly convey concepts of the prayers to a young audience. The Sh’ma is included in Hebrew and transliterated. Other excerpts from the Morning Blessings, in both Hebrew and English, are included at the end of the book. In this world where there is so much rush and hurry, this book can help create a special calmness at the beginning of each new day for both you and your child. 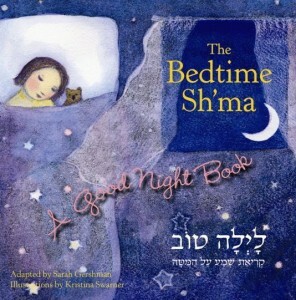 Sarah Gershman wrote Bedtime Sh’ma before Modeh Ani. Both books are illustrated by Kristina Swarner. You’ll find the same soothing pastel illustrations in both books. 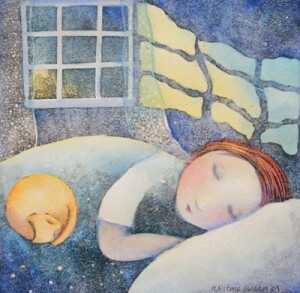 Bedtime Sh’ma is an adaptation of Kriat Sh’ma al haMitah, the bedtime Sh’ma. This very child-friendly book recognizes the vulnerability of children who are at times “scared of the dark.” Staying true to the original Hebrew texts, Gershman does a beautiful job of keeping in mind her young listeners. I rest myself in God’s hand. God is with me and I am not afraid. As with the Modeh Ani prayer, ￼the Sh’ma is included in Hebrew and transliterated and you will find at the end of the book excerpts from the Bedtime Sh’ma in both Hebrew and English. We all, parents and teachers alike, have a responsibility to the next generation – our children’s children! This entry was posted in Children's Books Highlights by Cindy Lou. Bookmark the permalink. Thanks so very much for this post. I’ve wanted to purchase books for our grandchildren but couldn’t see much online. Your positive review gives me direction. Thanks again and blessings! Jenni you are very welcome! Just so many wonderful reads out there. If you run across any exceptional books please share with us. I have a 3 year old granddaughter, is this a good book to start with at her age?